If you watch the movies Treasure Planet by Disney or Titan A.E. you can see the approach to imitate 3D-movies very well. In Treasure Planet the ship they are cruising on is 3D as the robotic arm of the pirate. In Titan A.E. almost everything besides the characters is 3D. Of course there is one big argument for these decisions: 3D is 3D. This means a hand-drawn movie with flat backgrounds cannot rely on action sequences that much. Again, Titan A.E. is a very good example for that. They simply couldn’t have realized these chase sequences in 2D. But on the other hand this doesn’t mean that action-filled movies are not possible. You only cannot have those fancy camera movements all the time. 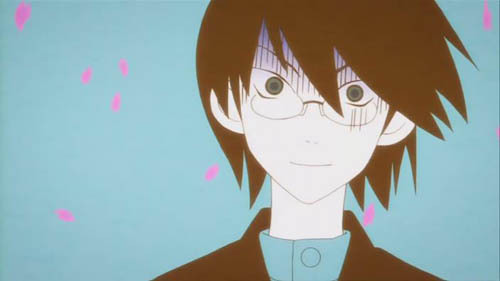 So, while 2D animation lacks some ‘possibilities’ in some areas it has many other ones to substitute for those lacks. And there is one benefit which is the main problem of 3D animation: visual freedom. Or to more exact: visual freedom with the object and visual freedom with the scene. The first one, visual freedom with the object, is the thing for which we all love those old Warner Brothers cartoons with Bugs Bunny, Coyote and all the other ones. It is the freedom to deform the characters and exaggerate their reactions and/or faces only limited to ones fantasy. If you tried to imply the same principles of those cartoons to 3D animation you would not only get silly looking results but also an animation control setup too complex to handle. While the latter one might be solved with pure hard work the first one can’t. The reason is the fact that 3D animation might be completely artificial but nevertheless be more “real” than 2D animation. The characters and environments have volume for example. Deformations therefore can only be used in a very limited matter as you can see in Ice Age for example. The second benefit of 2D animation, visual freedom with the scene, is the fact that the animator or director, in fact, can do whatever they want with a scene. They can change the colors, they can add ornaments and they can change the line style of the drawings themselves for a certain effect. Everything is possible because most of the time we accept that without bigger problems. The reason? Because we know it is animated. Because we know everything we see is in fact flat. Because it is that far away from our reality we know. 3D animation doesn’t have that luxury. It is – more than 2D animation – bound to reality. If suddenly the sky color in Toy Story or Ratatoullie would change or the colors of the characters, we would be disturbed – even if it was established at the beginning of the movie. This first example is from an anime movie called Dead Leaves. As you can see in this image, the animators added (Japanese) text to the explosion which creates an interesting effect. 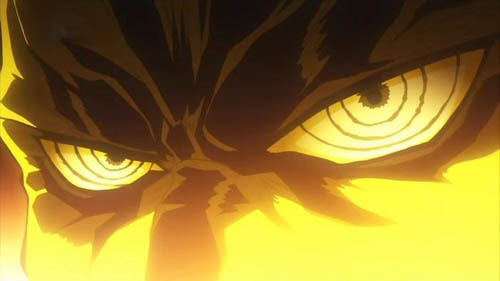 The second one is from the anime series called Tengen Toppa Gurren Lagann. Here the character is unique in many ways (his eyes for example) which would be difficult to create in 3D. 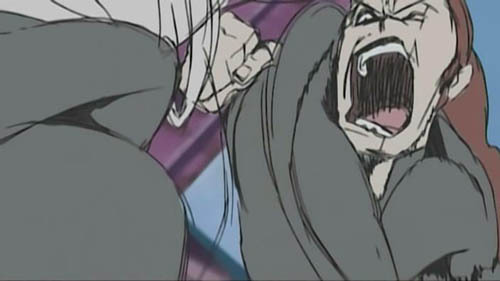 What you see here is a action scene from the series Noein. Here the animators almost scribbled everything to emphasize the motion and fluidity which in creates a stunning effect. 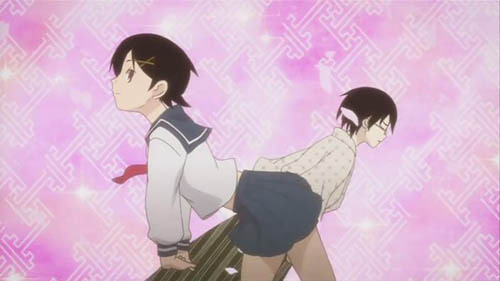 The last two images are from the series Sayonara Zetsubou Sensei (Goodbye, Mr. Despair). These examples show the visual freedom with scenes very well. The change of style and colorization is remarkable especially when you consider that I captured those two screens in one second only. All these examples show what you can achieve with animation in an unusual way. Of course this would be difficult to realize in a Disney Family Movie but at least some elements could be added to spice things up visually. Therefore, if anyone creating a 2D animated movie would ask me, what he should try, I would tell him to use the benefits of 2D. Try to exaggerate, draw bold lines, scribble in the movie, do everything a 3D movie can’t. Set it apart from the competition. Don’t try to imitate it. And, of course, tell a great story!